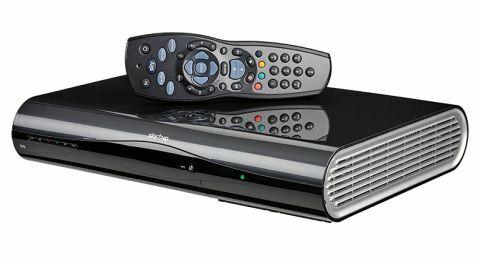 Sky + HD 2TB review | What Hi-Fi? A premium high-definition and recording option, now with wi-fi connectivity. Sky has never been a company to rest on its laurels, and 2013 once again saw the broadcasting giant improve its service. From apps, to content, to the box itself, the Sky service is better than ever– and still pips great rival Virgin in our affections thanks to a wealth of content (including HD) and a best-in-class user experience. The new box now comes with built-in wi-fi too, making it even easier to access Sky’s on-demand TV content and catch-up TV services such as BBC iPlayer. The 2TB box is, of course, our favoured Sky unit, as it gives us that much more space to store TV programmes and films for a rainy day. Available from £150 if you add a channel pack, it’s £250 otherwise. 1.5TB of space is entirely free for you to use for recordings, while 400GB is reserved for On Demand content and the remainder contains the operating system. What’s 1.5TB in recording terms? A whopping 350 hours of HD or 1180 hours of standard-def content, that’s what. With that sort of space, your days of deleting shows in order to make space for the next episode of The Wire (one of the shows now available in its entirety as part of Sky’s TV Box Set collection) will be over. The On Demand (formerly Anytime) service has upped its game too, with a redesigned interface that divides a wealth of HD and SD content into tabs of content. Showcase naturally takes you straight to the latest shows and films, plucked from both the TV Guide and Sky Store downloads. You’ll also find a Catch Up section, with BBC iPlayer, ITV Player , 4oD and Demand 5, plus on-demand content from Sky’s own channels and others. The Sky+ app (for iOS and Android) makes viewing, recording, scheduling and time-shifting even more painless. It’s a clear, legible, good-looking remote-control app. Sky apps such as Sky Go have become better, adding access to more content and new features such as offline viewing. And, as ever, the box delivers excellent picture and sound quality: the 1080i HD pictures are crisp and vibrant, while standard-definition content is generally very clean and stable. Compatible broadcasts are accompanied by decent 5.1-channel sound which, finally, can now be delivered over HDMI – so you no longer need to add a digital optical cable for audio.